CHESS from around the World! Clockwise: Frank Johnson at one of his many study sessions with Shredder. A blitz session between a determined Issac Hinch (L) and a trash-talkin' Donald Jackson (R) draws an audience of FM Stephen Muhammad and Sulaiman Smith (standing). Smith and Muhammad set battle into motion with a 3-minute match of their own. Did Sulaiman knock over the pieces again?? In Atlanta's Peachtree Park, Isaac (R) is on the prowl while the crowd observes. 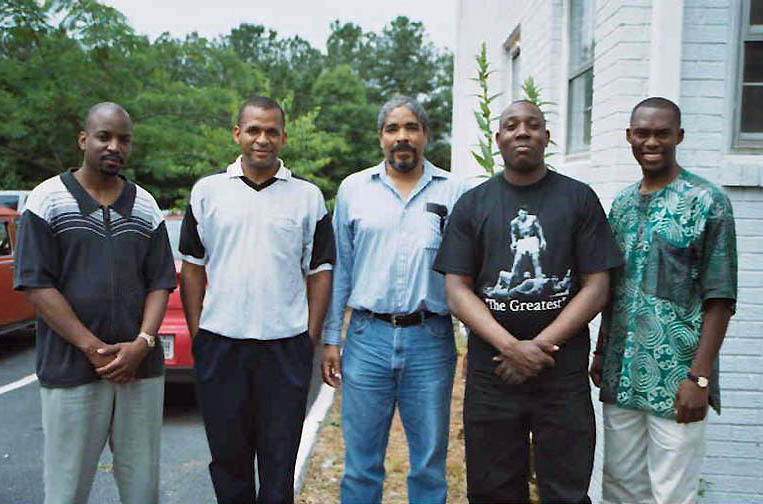 Check out another Atlanta nice shot here… Elvin Wilson, Stephen Muhammad, Leonard Dickerson, Sulaiman Smith, and Daaim Shabazz. All photos are property of Frank Johnson, contact him at photog@chessphotos.com for permission. 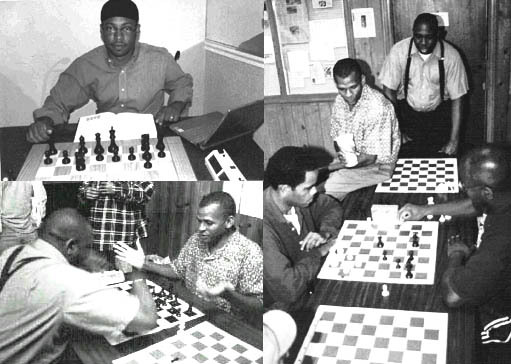 Clockwise: Jamaican-born GM Maurice Ashley plays a friendly against youth during his visit to Jamaica in 2000. 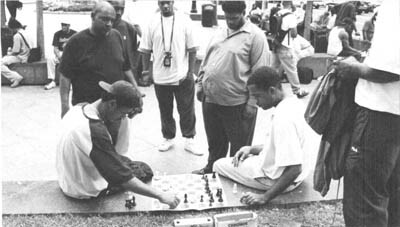 Malaku Lorne and Warren Elliott "mash it up" on the chess board. National players from Jamaica were guests at "TV Jamaica" for a public relations appearance. 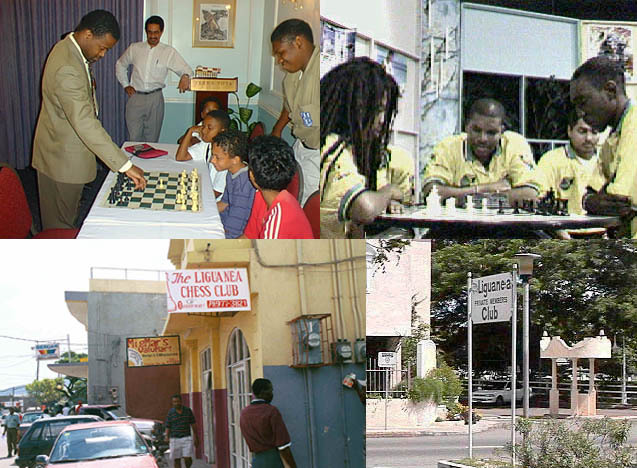 Liguanea Club is a popular venue for Jamaican chess tournaments. The Liguanea Chess Club is lead by the leadership of NM Geoffrey Byfield and bolstered by the presence of FM Warren Elliott. All photos courtesy of JamaicaChess.com.